It’s the end of summer, but you can still find time to unwind, especially if you’ve got a Modern-Shed primed for relaxation, like Natasha and Bill. Natasha’s art studio and sauna sheds were featured in July’s issue of Seattle magazine, but she gets to reap the benefits of a Modern-Shed relaxation space year-round. We spoke to Natasha about her sheds two years ago, and it’s great to hear she’s still loving her shed and enjoying time in her sauna. Before finding Modern-Shed, Barbara’s large-scale paintings had begun to take over her living space.Before finding Modern-Shed, Barbara’s large-scale paintings had begun to take over her living space. Natasha’s 8′ by 10′ Modern-Shed art studio on the left and 8′ by 6′ Modern-Shed sauna. SEATTLE — Growing up in Russia, Natasha has always considered using saunas to be an integral part of life. Her husband, Bill, who worked in Russia for years, agreed, so when the couple started looking to expand their Seattle home, they knew they needed a special space. 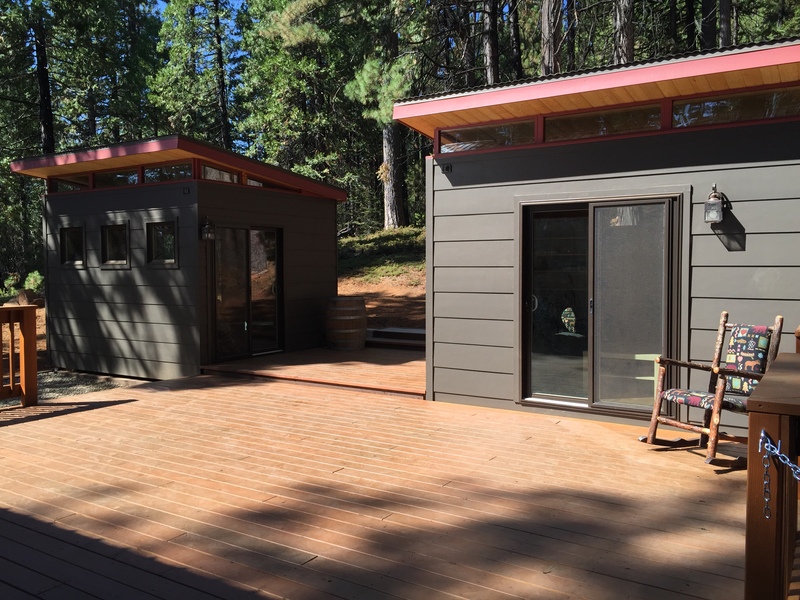 Holly and Chris purchased twin Modern-Shed studios at their vacation home and cabin. BAY AREA — For years, Holly and her sister-in-law, Alexis, each dreamed of adding onto their residences.